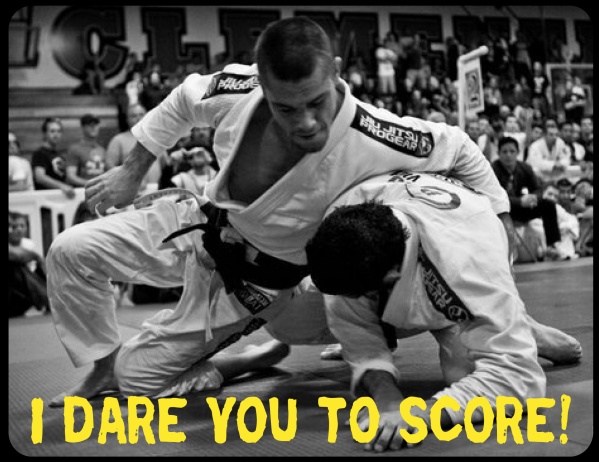 DSTRYRsg: Destroyer Submission Grappling and Brazilian Jiu Jitsu: THE BILL COOPER CHALLENGE YOU WERE BORN TO FAIL!! THE BILL COOPER CHALLENGE YOU WERE BORN TO FAIL!! What can we say? This is exactly the kind of inferiority complex-inducing life challenge you need. It reminds me of the reason you still suffer from infrequent, yet periodic, bed wetting incidents. But, I won't get in to that. Grapplers, we love Bill's challenge and the spirit in which he made it. I mean, this is what jiu jitsu is all about, right? If you're like me (and I'm assuming Bill too), you train jiu jitz all the time because you love it and because it's more fun than just about anything else in life. And, if you're not having a good time out there, you'll never get good enough to score that point on Bill! For those few of you who aren't familiar with Bill's jiu jitsu, the 2008 match below versus Ultra Heavy/World Champion, Cyborg, pretty much says it all. Suffice it to say, he's as ferocious and fearless a competitor as we've ever seen. Special thanks to Bill for allowing us to post this. Next time you throw down the gauntlet, maybe we'll take you up on it and see if we can nab that one point [note: highly doubtful]! !